Search Engines & Social Media| Targeted Ads – Personal Assistant or Big Brother? Social Media – Targeted Ads – Personal Assistant or Big Brother? Technology has changed the way we are learning, shopping, sharing, connecting, and being entertained. As a result, search engines including AOL, Bing, Yahoo, and Google are discovering the latest and greatest goldmine with search engine marketing, advertising, and targeted ads. Major social networks including Facebook, Twitter, Quora, Klout, Google+, and Foursquare are also cashing in on this goldmine. They all know that websites get significant amount of web traffic from internet web searches, and businesses are willing to pay for targeted ads and web advertising on these search engines and social media networks. Why? It’s one medium that advertisers can do to help businesses grow their business and expand their reach to millions of potential customers. Your brand also wants to take advantage of this. This requires an understanding of how customers’ minds work. Before you start placing ads on these channels or partnering with them, you may want to put yourself in your target consumer’s shoes and consider all the pros and cons of marketing in today’s social-enriched market and increasingly mobile world. This means you would want to see through the lens of the customers – their thought processes and perceptions. Today, you’re the brand customer – its target audience. Let’s discuss how targeted ads impact the user experience – you, the consumer, the customer, the user of any web or mobile service. Are these targeted ads your best friend – personal assistant – or more like a big brother? Let’s imagine a situation in which I’m sure we all by now have encountered as social media continues to gain more and more momentum while leveraging technological advancements. It’s a regular day. You open up your web browser of choice – Bing, for example. As you type a search term, Bing provides several suggestions based on your first few characters entry. The Bing social sidebar lets you discover friends and experts across social networks who may know something about your search term. You see, at a glance, a list of your friends and their posts about the topic you’re searching on. You can tap into the wisdom of experts across the web for advice to help you find your answers more quickly. Then, you log onto Facebook and voila, on your newsfeed, there’s an ad for the restaurant you previously searched for on Bing or Google and another ad in a sponsored section to the right of your page for your favorite retail store. You open your Yahoo email, and there’s a banner ad on DeVry University, which you happen to be attending this September. On Amazon, there are some recommendations made based on your browsing and purchase history. On Twitter, you see an ad for your favorite pair of shoes as though it can read your mind that you need to replace your worn-out running shoes. Targeted ads are everywhere. There’s no escaping them. Consider how these ads can impact the user experience. Let’s explore the possible pros – your “Personal Assistant”. Here are some. You like a personalized look and feel when you’re online. Newsfeed on Facebook is customized uniquely for you. Connecting your Facebook account with your Bing account gives you instant personalization that let you easily bring your friends, coworkers, colleagues, associates, and family as well as your personal interests with you. You also see personalized search results for a more personalized experience. With Facebook’s guidelines for participating partners, your personalized experience can only be based on public information such as your name, profile picture, gender, networks, and other information that you’ve made public. With Facebook app settings, you know you have control over what information is available to Bing. Similarly, you’re in control of what get posted to Facebook. You decide which searches, if any, you want to share and the friends you want to tag. Newsfeed from Twitter can also be your personal assistant. With the recently introduced tweets-based target ads, you see ads that mostly matched to people and companies you’re following and words that appeared in your tweets. You write a tweet about a brand you like, and then, you see a promotional ad from this brand telling you of its upcoming sales nearby. Similarly, Facebook also recently tested this type of personal assistant, targeted ads displayed on user’s newsfeed, allowing businesses to deliver more relevant ads based on your browsing interests. This monitoring and tracking of your online activities enables advertisers to more easily determine your preferences, interests, and purchasing habits and let brands deliver a personalized, relevant offer. A personal assistant typically saves time and effort. You don’t have to look at irrelevant information like you would normally see and are surrounded by – ads on the highway, billboards, radios, TV, mall displays, and other displays that are beyond your control. You like seeing relevant information that save you time with little effort on your part. It gives you what you want based on pattern of your searches, browsing, and interests. Then, you can easily go to the site to purchase gifts, grocery, and other items with a simple click. Not only can it save you time and effort, it can also save you money. Of course, there are possible cons too – the “Big Brother”. Here are some to consider. Perhaps the biggest con or backlash is privacy which can be considered a touchy topic for some. Pew Internet & American Life Project conducted a survey in the United States in early 2012 and concluded that 68% of Americans do not like their online behavior tracked and analyzed and saw targeted advertising as an invasion of privacy. Not everyone wants their personal information, browsing and purchasing history, and web activities to be captured and possibly sold to third parties. This can lead to them being the recipients of unwanted, unsolicited ads, pop-ups, and spam mail from everyone and everything. How would you feel if you saw your Google searches result in unwanted and unwelcomed ads on a news portal page, favorite sites, or email portals that you frequently visit? When any of these happens to you, you find it irritating, intrusive, and invasive to your personal space. With all the current news on the Washington scandals – NSA and IRS – you certainly don’t want your personal information and browsing activities tracked without your knowledge. This is exactly what happens with there’s an anonymous, behavioral monitoring and tracking of the sites you’ve visited, the content you viewed or read, the length of visit, and the IP when you surf on the Internet online or mobile devices. This is aimed to predict your online behavioral pattern. Most days, if not all, you simply don’t want to see unsolicited ads for products and services in your personal space when you’re googling. These ads interfere with your user experience and do nothing but irritate you. You see ads, especially targeted ads, to be a nuisance. Additionally, you see profit-driven businesses generate revenue at your expense and to the detriment of your personal space and privacy. Not only do they have access to your credit history, they now have just about everything readily available to them. You also perceive that retailers and businesses alike are monitoring your online activities – where you shop, what sites you visit, and your interests – how else would they know to send you relevant offerings and display interest-based ads and promotion? Brands and retailers vie for your business, and they want data to help them provide you with a customized offering and best customer experience. However, not all personalized search results and targeted ads are accurate. There are times when the targeted or contextual ads are shown using your search word as the basis for implied interest. As such, there’s always the possibility of displaying ads that are totally off base. 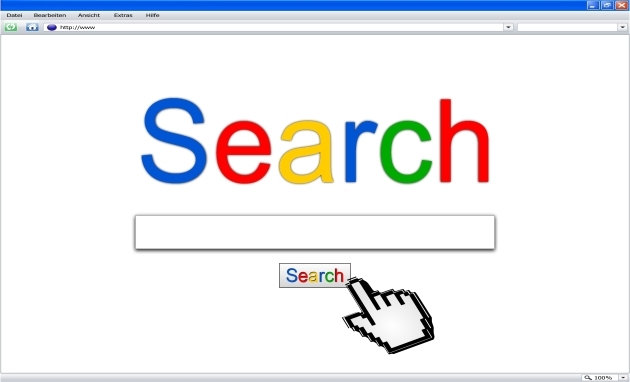 There’s currently no technology exist today to accurately predict why you’re searching. Just because you’re searching for prenatal care doesn’t mean that you want to see a Jenny Craig weight watcher ad. It doesn’t mean you’re the one pregnant or you know someone who is. It may simply be out of curiosity, resulting from seeing something on TV or conversing with someone on the topic. You’re also cautious when you’re online with all the spywares and malwares lurking around. Clicking on what appeared to be a legit ad but only to find it brings you to an unwanted site, slow down your connection, or worse, automatically installs a spyware or causes a virus can wreck your day. As a business, you want to advertise more to consumers who have a strong preference for your products and services while eliminating “wasted” advertising to consumers whose preferences do not match your target audience profile or product’s features. You want to reach a specific demographic whether it’s people of a certain gender, age, social class, profession, or ethnicity. Use today’s technology to place targeted ads to reach the right target demographic and the most target consumers for the fewest dollars. Learn through the lens of the customers and strategically partner with the right search engines and social media channels that best fit how you want your brand to be represented and your customers to experience when they’re online whether it’s at home, at the office, at a coffee shop, at the mall, and anywhere they may be when out and about. Considering the above user experience can help you effectively use search engine or social media for advertising.